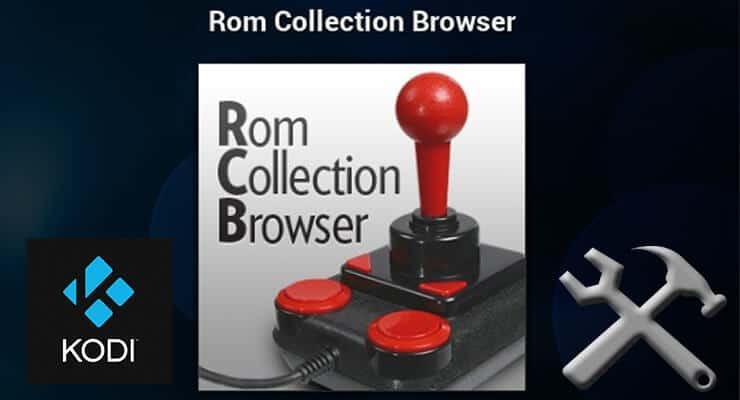 The Kodi ROM Collection Browser addon enables you to launch emulator applications from within Kodi, with specific command line parameters that are -to an extent- automatically configured, depending on the video game emulator you use. This allows for you to only select the retro game on Kodi you want to play with. Bear in mind that, to better control your games and browse your content, you might want to get appropriate peripherals; it won't be enough with using a wireless HTPC keyboard or an application such as the Kore remote app for Kodi; you might also be interested on hooking a game controller to your HTPC, for added comfort. How to install Kodi ROM Collection Browser addon? 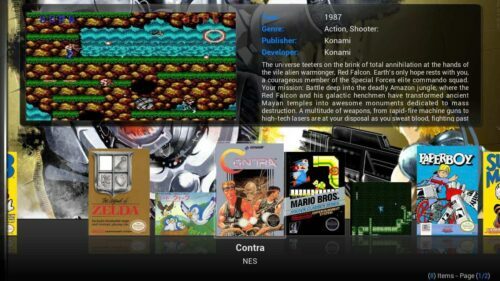 Kodi ROM Collection Browser lets you select a game from your couch and play it on the big screen. From the main menu head to System -> Settings -> Add-ons -> Get Add-ons. You will see a list with all the repositories installed in your HTPC. 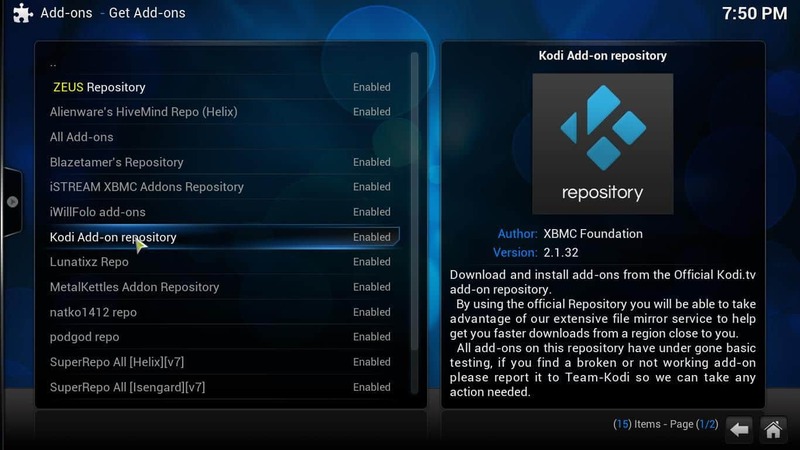 Click the Kodi Add-on repository to continue to install Kodi ROM Collection Browser addon. 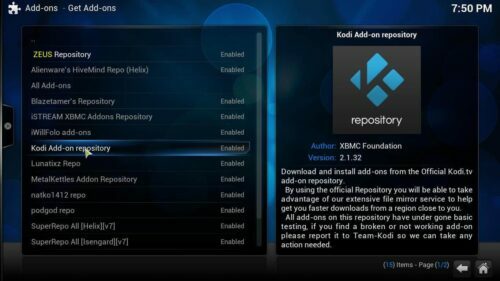 Select the Kodi Official Repository from the repository list. Make your way to Program Add-ons, and then browse the list until you find Kodi ROM Collection Browser. You will be a click away from playing Kodi ROMs and emulators. 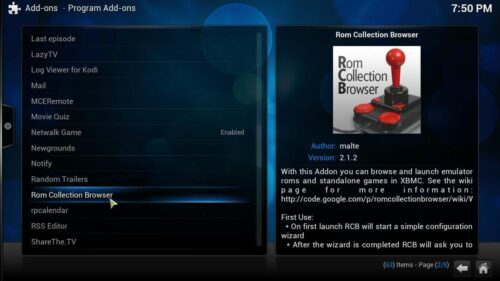 Click the Kodi ROM Collection Browser addon. Select Kodi ROM Collection Browser and click it. This notification lets you know that Kodi ROM Collection Browser has been successfully installed. And that's it! Keep in mind you would have to add your own ROMs and emulators in order for this addon to work properly. If you want to entertain yourself in other ways, please take a look at our lists about the 10 best movie addons for Kodi or the top 10 live TV Kodi addons. By browsing these addons, and adding your favorite games to your Kodi HTPC, you will surely get many hours of entertainment.